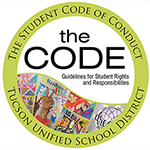 We are currently updating our Code of Conduct, and we invite your feedback. Please review the section on Due Process, then share your feedback below. Please review the Violation Charts, then share your comments below. Do we need to include more examples in the Violation Charts? If yes, which sections need more examples? Please review the Action Levels. Are the Action Levels appropriate? If no, what changes do you suggest? What other comments and suggestions do you have?